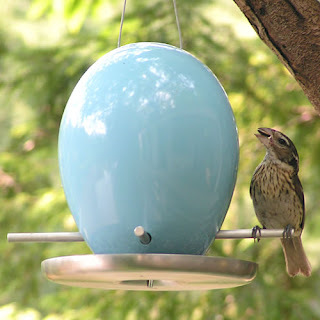 ellehermansen: J Schatz: The Original Egg Bird Feeders! Some of you may know I am not a huge fan of birds. I love the beauty of birds, but I enjoy them more at an arm's length. 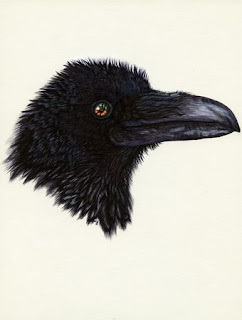 I personally love ravens! Did you know that these birds are actually quite brilliant? For example, they throw nuts and shells on the road so that cars crush them open as they drive by. Well, for feeding the "pretty" birds, I found this really cool bird feeder here at the pet store on Saturday - called the "Egg Feeder" by "The Nuttery". 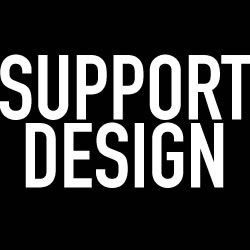 It turns out that particular brand out of the UK has bad business ethic according to the REAL designer J Schatz from New York. The UK Nuttery house bought up a huge amount to recreate the feeder themselves. 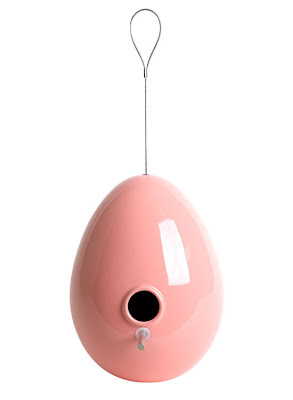 J, this fantastic designer and his extrordinary egg design, keeps those pesky (but cute) squirrels from getting the good eats from the early birdies! So, I will hold out on the fake (as should anyone else) and will wait until I move back to purchase the real deal from Mr. Schatz himself! 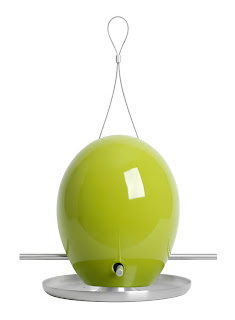 I will personally be buying the big robin egg (above) colour! Off to see if they sell the real deal in London, Ontario.